First, a strange and unpleasant compulsion to keep talking about Hitler, Nazis and the Holocaust. Second, a troubling tendency to spin historical facts and contexts. Third, a curious over-reliance upon unreliable sources. Fourth, an unfortunate habit of making their enemies’ points for them. Fifth, further to all of the above, when in a hole, they just keep on digging. Sixth, a new point of similarity. The offering of prizes to those who can prove them wrong. For Irving, it was £1,000 for documentation showing Hitler knew of the Holocaust. For Livingstone, it is “a free meal for anyone who can prove what I said was wrong”. Even with the price of kosher food these days, Livingstone’s offer falls some way short of Irving’s. [BBC interviewer] Vanessa Feltz: She [Naz Shah] talked about relocating Israel to America. She talked about what Hitler did being legal. And she talked about the Jews rallying. And she used the words Jews, not Israelis or Israel. You didn’t find that to be antisemitic? Ken Livingstone: No. It’s completely over the top [but] it’s not antisemitic. Let’s remember, when Hitler won his election in 1932 his policy then was that Jews should be moved to Israel. He was supporting Zionism. [He then] went mad and ending up killing 6 million Jews. Ought we to prove that Ken Livingstone, a veteran anti-Nazi anti-racist, was wrong to say that Hitler’s madness only began when the Nazis started shooting Jews into death pits, developing gassing vans and then ending up with gas chambers. Prove that he, an anti-Nazi anti-racist, was wrong to echo the offence that he has made before to Jews, regarding Nazis. Prove that he, an anti-Nazi anti-racist, should not be trying to somehow shoehorn Zionism and Nazism together, as if they are in cahoots. Prove that he, an anti-Nazi anti-racist, should not risk sounding as if the moral stain lies with those who would have saved European Jews, by giving them physical refuge from Hitler. Prove that he is wrong to keep on citing the warped historiography of a far left anti-Zionist propagandist, whose work lacks historical context, balance and accuracy. A propagandist who has been debunked by many real historians, including David Irving’s nemesis Deborah Lipstadt, see here and here by Michael Burleigh. Finally, prove that he, a leading anti-racist, is morally and politically wrong to risk sounding as if he, relishes baiting Jews – as if he still regards their sincere concerns about modern day antisemitism as only being so much chopped liver. Why didn’t David Aaronovitch challenge Nazi analogy on BBC 4 Radio? Does Livingstone’s offer of a free meal mean having to share a table with him? That would cause many to lose their appetites anyway. Very soon Friend Bellend will be in posting about the evils of the CST and the people behind it. Even more than he normally does he will be behaving like a rabid version of one of Pavlov’s dogs. I would not say that the CST are evil. I am not much into good and evil. I would say they are as bent as a wad of £9 notes. I wonder what the Muslims that they claim to seek partnership with think of them cross posting here. No wonder they have no credibility among Muslims. Fascinating stuff. So was the claim in your letter a lie, or did even the Quakers get pissed off with your anti-Semitism and throw you out? Sorry Gerald I don’t quite get what your saying. Which claim might that be Gerald ? If you sprinkled yourself with salt you’d be a pretzel. The second most dangerous man in the country! And there is no need for anyone to doubt my antipathy towards the CST. So Friend Bellend you despise Israel, and you despise the CST. Are there anymore Jewish or Israeli organisations you despise? This is just for starters you understand. Friend Bellend I understand you and your anti-Semitic kind very well. Before you bleat on about throwing around accusations of anti-Semitism to stop or close down debate on Israel, just look at your posts on this thread alone and there is sufficient evidence of your anti-Semitism. Friend Bellend try not to yawn too wide or the top of your head will fall in. Clearly there is very little between your ears to stop it happening. Dullamy, You missed your calling writing for Der Guardian. Keep eating your heart out as Muslims flood into the UK – and Israel stays strong. Rest assured that the scorpion will eventually sting and kill you. One small point, or perhaps not such a small point. Hitler, despite a brutal and violent pre-election campaign, did not actually win the election in 1933. He got 43.9% of the vote and had to form a coalition to rule Germany. 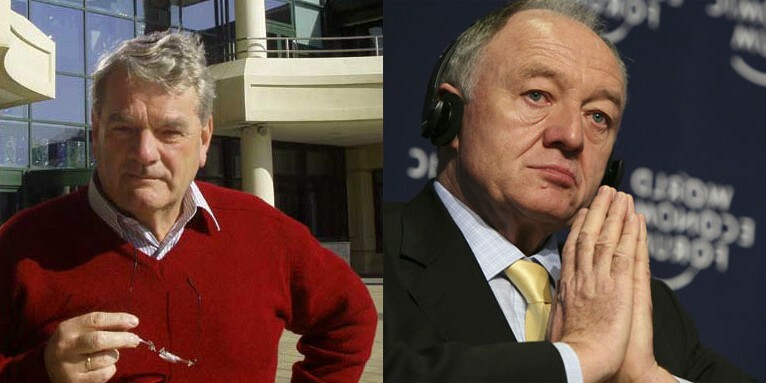 Livingstone is a one-book man on this subject: he was plugging Brenner when he was the (unelected) leader of the GLC in the 1980s and mentions in his memoirs that he was “shocked” by the “revelations” made by Brenner about Labour Zionist leaders… The Palestinian Arabs are utterly compromised by their historical associations with the Nazis, but this never seems quite to matter.